Construction of the Narrow Gauge Railroad that runs between Durango and Silverton began in 1881. It was completed in only 9 months. 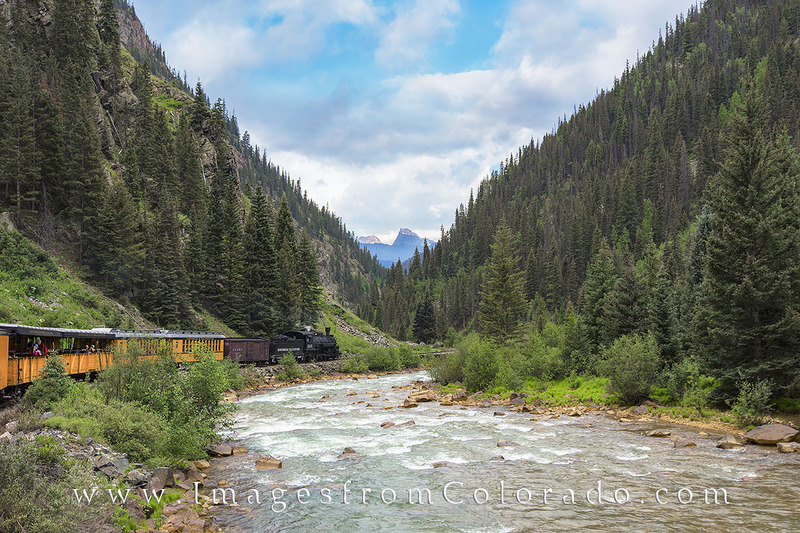 Originally, this railroad was designed to haul gold and silver from the San Juan Mountains. Now, it transports tourists along the beautiful Animas River for 52 miles as it twists and bends its way through lush valleys, over high trestles, and through green forests of pine and aspen. Photo © copyright by Rob Greebon.